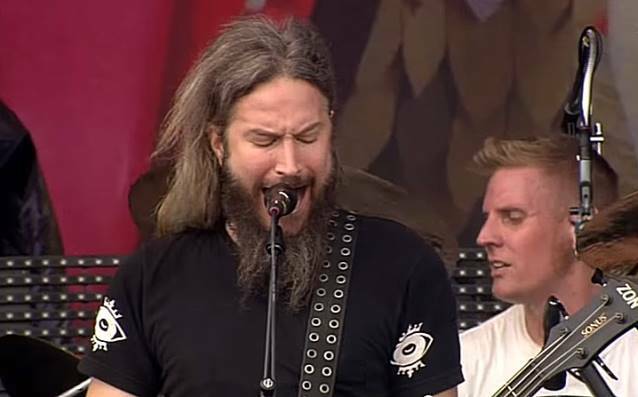 Atlanta progressive metallers MASTODON have premiered the video for their latest single "Asleep In The Deep". The band teamed up once again with "Once More 'Round The Sun" cover artist Skinner to push the boundaries of psychedelia as far as they can. Skinner is the mastermind behind the "Asleep In The Deep" video, which tells the psychedelic and epic journey of a house cat who unknowingly travels into a bizarre gypsy catacomb where it encounters a giant bullfrog, a three-headed evil rat king, cat gnomes, cheese slaves and a warrior squirrel. "Asleep In The Deep" was directed by Atlanta-based director Video Rahim and co-directed by special effects guru Shane Morton and Skinner. Hey Beautiful Jerk, a New York City-based design and visual effects boutique, provided creative direction and all post production services. Skinner has this to say about the video: "This concept was birthed out of my curiosity about what a cat really does at night while we are asleep. Where do they go? Cats have a very mysterious myth to them and I thought it would be cool to explore that, as little nocturnal heroes. I decided to put a sort of Joseph Campbell hero myth spin on it and add some Jodorowsky psychedelia as well. I'm more than excited about the way it came out! I love it!" 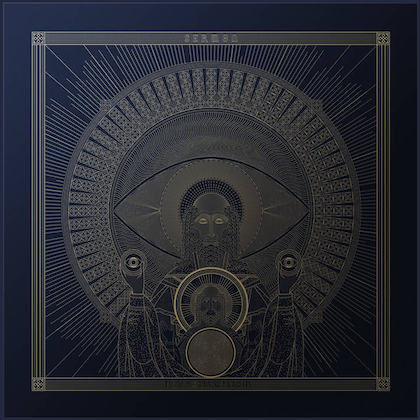 MASTODON is excited to have a limited webstore exclusive bundle to celebrate the video premiere, which includes the "Asleep In The Deep" t-shirt and larger-than-life 24"x36" old-school-movie-style poster printed on 100# text paper. Both the "Asleep In The Deep" shirt and poster feature the exclusive art by Skinner. This is a pre-sale item. Bundles will begin shipping by July 1. Order your limited web store exclusive bundle here.